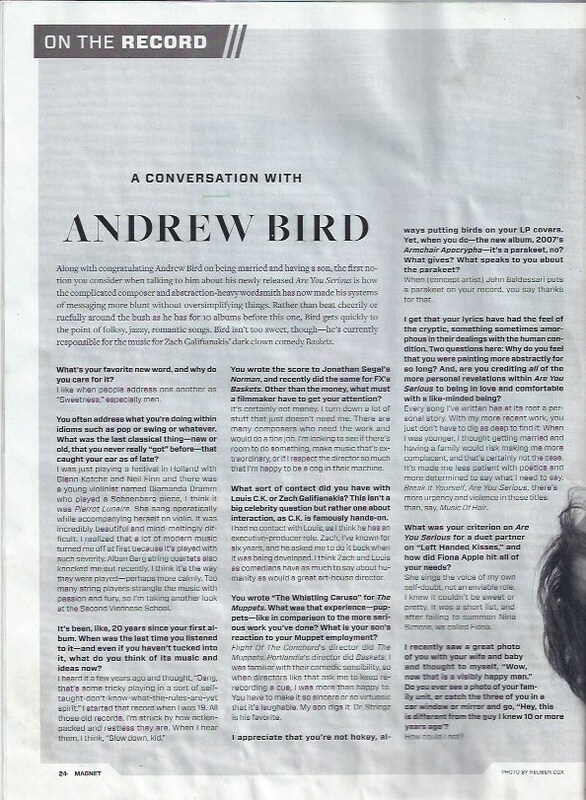 After hearing a short solo set of mine at Cross-Linx Festival back in February, Andrew Bird named my Schoenberg as one of his favorite recent finds in an interview with Magnet Magazine .. I’m extremely humbled with this mention by one of my big singer/violinist inspirations ! Last month I had the pleasure of joining the Yurodny Ensemble from Ireland on a tour in Turkey. We played Onur Türkmen’s work Sailing To Byzantium, a magnificent 70 minute piece with a lot of room for improvisation. The ensemble was made up of Yurodny members and as well as Turkish musicians on traditional instruments. Here is a small documentary about our time there. Besides playing Peter Schat’s Genen, I had some fun with the Weeshuis tune – here in solo version recorded by VPRO.